I ‘d like to introduce everyone to Nick Sterner, Me2/’s intern for the next three weeks. 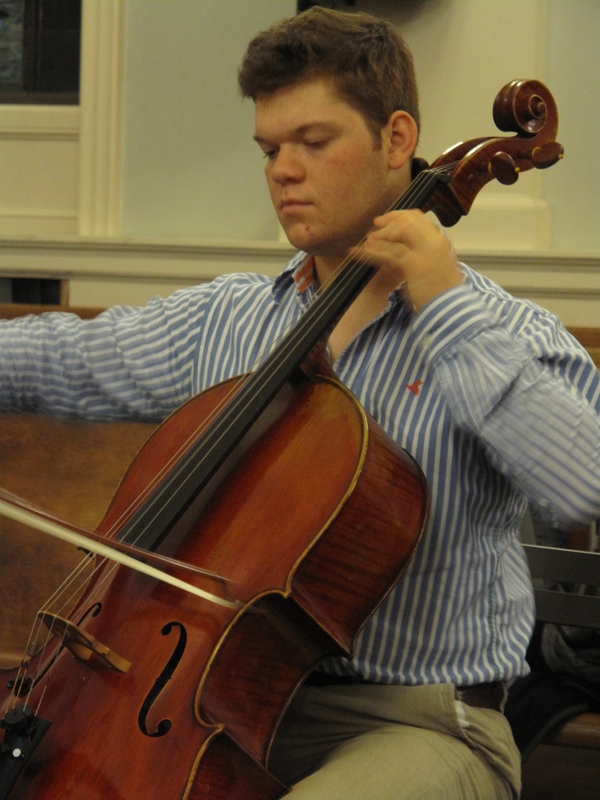 Nick is a cellist in Me2/Boston and a junior at Wheaton College. He was awarded a “winternship” from Wheaton to spend his holiday break in Vermont where he will rehearse and perform with Me2/Burlington and help us with various administrative and artistic tasks. This is Nick’s first opportunity to spend any quality time in Vermont. He’ll be staying in three different host homes during his internship (in Burlington, Richmond, and Charlotte). We’ve asked Nick to blog during his time here, sharing his views of the holiday season in Vermont, the people he meets and makes music with in Me2/Burlington, and anything else that will provide our supporters with an insider’s view of the Me2/ organization. Nick is a thoughtful person and a passionate musician. We look forward to sharing his blog posts with you over the next few weeks!